Gourmet Promotional Gifts For People who Love To Eat! 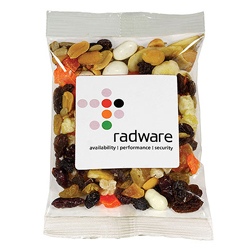 Supply your guests with Gourmet Promotional Items. What guest could resist a candy mint or a peanut butter pretzel cluster? Make your party or special event a smashing success, order a gourmet item or gift basket today. Food Gift Baskets at Garrett Specialties. 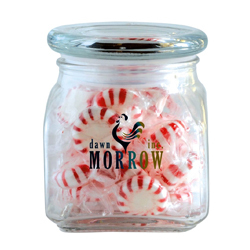 Your source for food gifts, promotional products and candy mints. 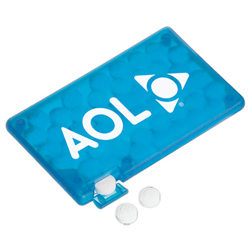 We offer promotional candy imprinted with your logo or message. 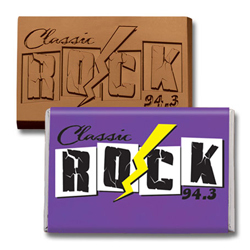 Personalize a chocolate bar, chocolate covered mints. Nothing says thank you better than a basket of tasty goodies. We also offer a wide variety of gourmet gift baskets that can include everything from hot chocolate to mixed nuts to a refreshing candy mint! 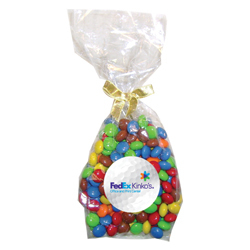 From chocolates to coffees, cookies to popcorn, nuts to candy edible promotions are always a favorite. 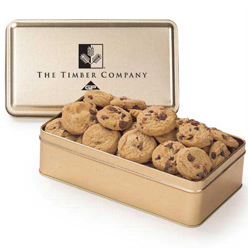 Feel free to order one or hundreds of promotional food gifts. All of our gourmet food items come in bulk too! We offer many food gift basket ideas. 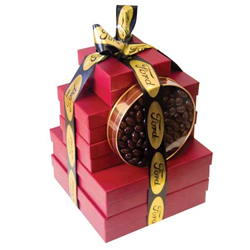 Garrett Specialties sells an array of promotional food gift items. 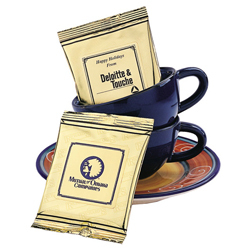 Check out our promotional candy, nuts, hot beverages, such as hot apple cider, tea, coffee and more and have your logo message imprinted. We offer different price points that will fit your budget. 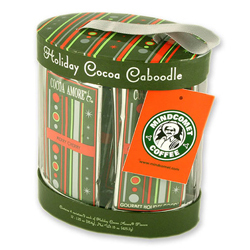 Check out our beautiful gourmet gift baskets to mints, candy, chocolate, teas, coffee, chocolate, cookies, food tins and create your own food gift. Custom Food gifts are not just for the holidays. Send a custom basket just to say "thank you" any time of the year. Sometimes getting a corporate food gift in the middle of the year is a nice surprise. Bottom line you will be remembered for being different and thoughtful.